Kalpa & Sangla are the idyllic destination attracting a huge number of tourists all over the world. 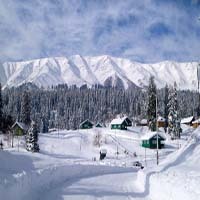 The place is located on the height of 10,900 feet in Himachal Pradesh, 265 kms ahead of Shimla. The Kalpa Sangla Tour made available by us is specially tailor cut for the individual preference of the tourists. We have all kinds of resources that will make your Travel to Kalpa Sangla a tour to remember. Avail our Kalpa Sangla Tour Packages and experience the panoramic and scenic beauty of the place. We are recognized as one of the prime travel agents offering Sightseeing Tour to Kalpa Sangla.